Based on the well-publicized number of sexual assault cases on college campuses across the United States, many might assume that sexual assaults on college campuses are occurring at an alarming rate. They would be correct. But this is no recent phenomenon. For decades, the epidemic that has been impacting our nation’s college students was something that administrations did not want to admit was actually happening. This resulted in injustice for survivors, their experiences invalidated by the institution that was to provide them equal access to a safe learning environment. Based on the well-publicized number of sexual assault cases on college campuses across the United States, many might assume that these assaults are occurring at an alarming rate. They would be correct. But this is no recent phenomenon. For decades, the epidemic that has been impacting our nation’s college students was something that administrations did not want to admit was actually happening. This resulted in injustice for survivors, their experiences invalidated by the institution that was to provide them equal access to a safe learning environment. I serve as a volunteer Domestic and Other Violence Emergencies (DOVE) Program Advocate at New York-Presbyterian Hospital in Washington Heights, and I’m a student studying in the Women’s Studies department at City College. 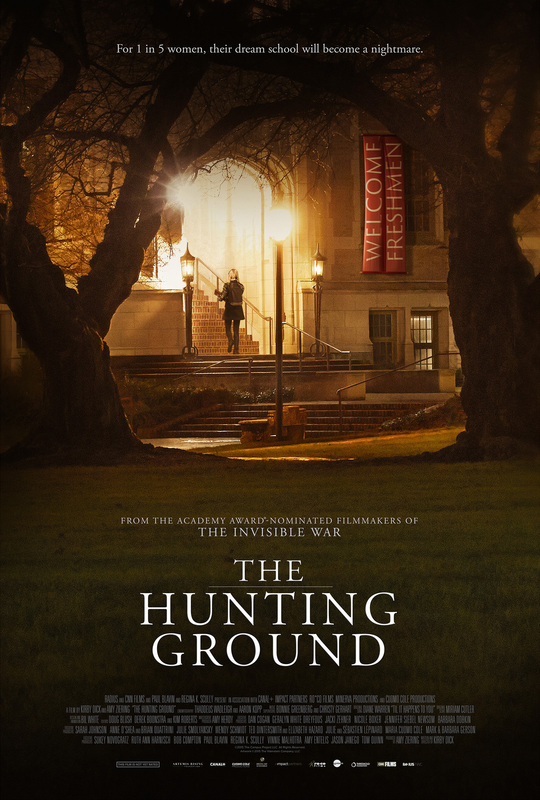 So domestic violence and sexual assault are issues I think about and discuss often, and why I, along with Arlene Verapen, was inspired to help bring an important documentary, The Hunting Ground, a film that has been screened on college campuses all over the nation, to further the discussion at The City College of New York. Colin Powell School for Civic and Global Leadership Blog at WordPress.com.